There's nothing like seeing a great live band...it can be the spice that makes an event truly memorable. 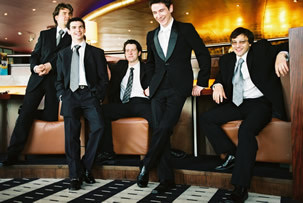 The Big Swing is one of the UK's top swing bands. Specialising in weddings, corporate functions, celebrity events and more, we adapt our line-up to meet your specific needs. We play all across the UK so please don't hesitate to contact us to discuss your event and build a quote.